So, I’ve raved about these quite a few times. Hasn’t everybody? 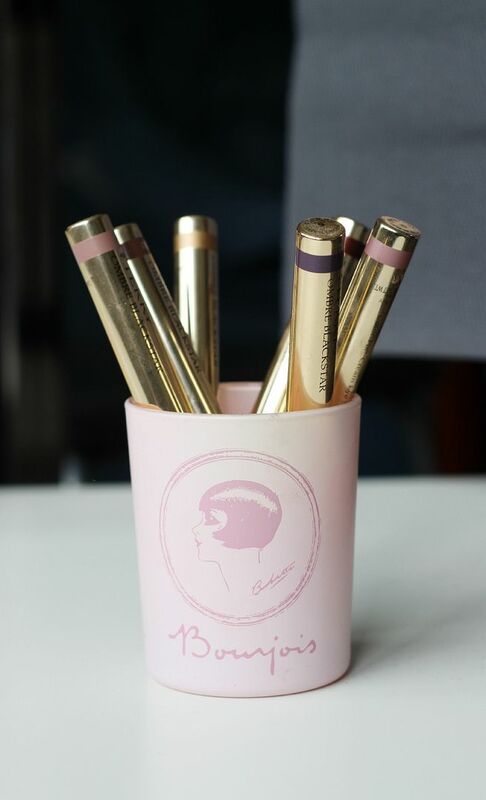 These magical little sticks from By terry are my go-to for an easy eye look. Ah, By Terry. So expensive, but so lovely. I am still a massive fan, and needed to check back in and make sure you all know that I still love them. A quick note on the formula of these – all of the shades are pretty similar in texture. I love that you can just scribble these all over the lid and then blend them in with a brush or your fingers. You can layer them under powder shadows to make them extra vibrant or use them on your own and be super speedy with your makeup. 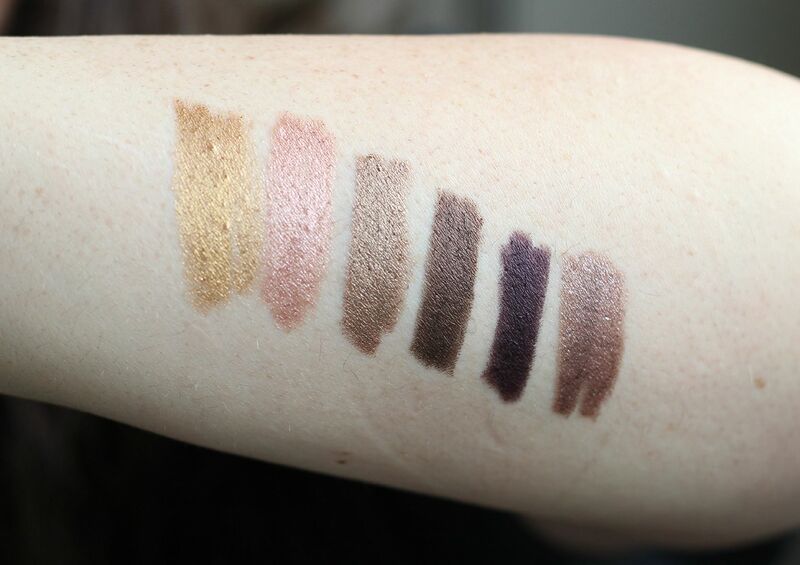 For the swatches above from L-R it’s Beyond Gold, Frozen Quartz, Bronze Moon, Brown Perfection, Velvet Orchid & Misty Rock. Brown Perfection was raved about here. I use this one almost every day smudged under my lower lash line to add some definition without being too heavy. The formula doesn’t smudge all over my face like most liners do. Bronze Moon was my first one, and a dangerous gate way into the brand. I don’t love this as much on its own, because it can pull a little cool toned on me and I like all my shadows to be as warm as possible. Yup. Using this as a base for something like MAC Bronze or NARS Fez is incred. Misty Rock is one that gives you a little purple sheen without being too purple. Exactly, I know you know what I mean. I love this one, as I find the shade is really nice at reflecting light onto the eyes. Velvet Orchid is one I love to use along with Misty Rock. I also like this smudged on my lower lashes. All over the lid makes it look quite dramatic, so I prefer this one used to smudge things up a bit. Frozen Quartz is your guy if you are a fan of MAC All that glitters eyeshadow. It has the similar peach champagne tones and manages to make your eyes look brighter and sheenier. I actually love layering this one under ATG for the extra champagne effect. Beyond Gold is my latest one, and the one that made me fall back in love them all over again. At first I thought it might be a little bit too gold but I was so foolish and I forgot that nothing is ever too gold. This one, under Woodwinked/Amber Lights/Urban Decay Half Baked… just so beautiful.